Take the scenic route with the new 2017 Chrysler 300 now available at Contemporary Automotive near Nashua! This updated version of this bold vehicle contains an exquisite 3.6L Pentastar® V6 engine that has an excellent fuel economy featuring 30 highway miles per gallon. It’s eight-speed automatic transmission allows drivers to seamlessly transition gears to get through all types of hills, gravel and uneven terrain that New Hampshire displays. To also assist through this type of terrain, the available all-wheel drive system engages at any speed to enable optimal traction and control based on weather and road conditions. Combined with the AWD system, the electronic power steering makes proper turning adjustments from highly-responsive steering for intense higher speed driving as well as easy-handling for low-speed occurrences. 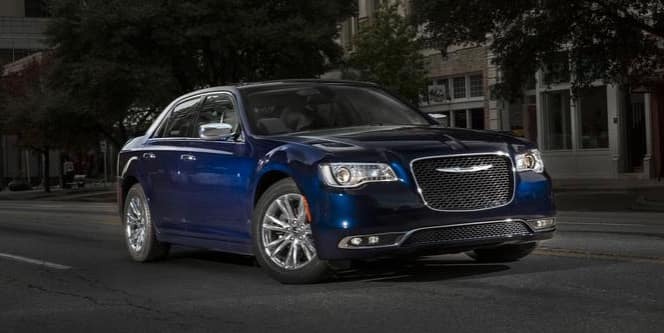 Fans of the Chrysler 300 like the idea of matching their vehicle to their personality. At our Chrysler dealer near Manchester NH, we have the option available to shoppers to pick an exterior car color that matches their preferred style. Customization doesn’t stop there! Wheels depict the tone of the vehicle, so the Chrysler 300 now offers nine various wheel designs available in sizes ranging from 18″ to 20″! 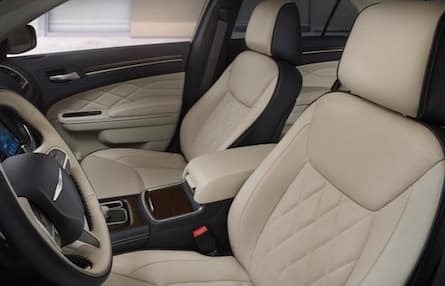 Step inside this fancy vehicle for the standard leather-trimmed seats with heated, eight-way power front seats or jump to the available ventilated seats! Stay in the know with the ambient blue Driver Information Digital Cluster (DID) with a range of real-time data, including speed, compass, audio selection, temperature, fuel economy, speed control, engine performance and system status! 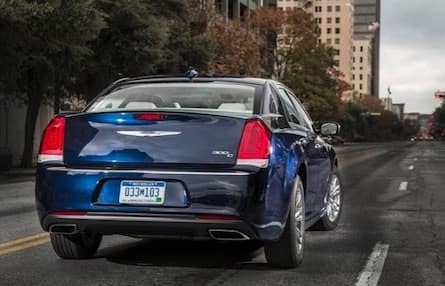 The 2017 Chrysler 300 is equipped with ingenious technology to keep up with the modern technology that drivers access on a daily basis. The Uconnect® 8.4 system brings SiriusXM® Satellite Radio, Bluetooth® Streaming Audio and Uconnect Voice Command to driver’s fingertips; cumulated with an eight and a half full color touchscreen that makes access to all of these features easy and manageable! Drivers can even personalize the the touchscreen with the instrument cluster so the most frequently used apps display on the screen at all times for easy access and switchability. A BeatsAudio™ premium sound system is available to drivers who want that extra bass pump in the speakers! This sound system includes ten premium speakers, a trunk mounted dual-voice coil subwoofer and a 12-channel 552-watt amplifier for major sound. For drivers that need a little more connection inside this comfortable vehicle, the Media Hub provides two USB ports, an audio jack and wireless charging pad. If an iPod® or compatible USB device that can play music is connected, drivers can play music on the sound system and control it by the radio or steering wheel audio controls for optimal control of the vehicle and the music that plays.  Safety is the number one feature that shoppers at Contemporary Automotive near Manchester look for when searching for their luxury vehicle. The available ParkSense® front and rear park assist uses ultrasonic sensors to detect stationary objects in front of and behind the vehicle to help take the guesswork out of moving forward or backward into or out of a parking area. Alerts will sound when the vehicle comes too close to a preceding vehicle and will apply the brakes to help prevent a collision with the Full-Speed Forward Collision Warning with Active Braking. Customers will never have to fear about driving in the dark because the High-Intensity Discharge Headlamps and Automatic High-Beam Control Headlamps will adjust for better vision of the road ahead. Lastly, the Advanced Brake Assist will increase brake force automatically if deficient brake force is applied when Full-Speed Forward Collision Warning with Active Braking is activated. For more information about the posh 2017 Chrysler 300, contact Contemporary Automotive at (844) 500-6722.